This is an activity to match pictures to the corresponding turkeys based on their beginning sounds. 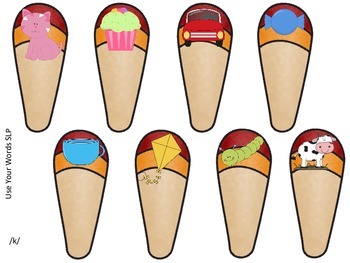 This is a perfect activity for those kids working on articulation of sounds: /k, g, f, v, s, z, th, r, l, w, t, d, ch, sh/. Use target and substituted sounds to teach the difference between productions or just target one sound at a time and try to be the first to add feathers to your turkey by flipping a coin (heads=1 feather, tails=2 feathers). 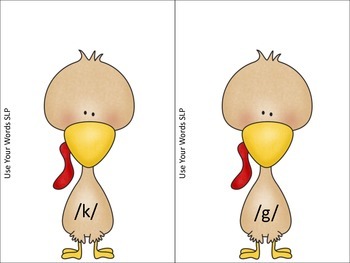 There are eight pictures for each turkey/sound. Also included is word lists for each picture on each feather. I've also included 2 open ended Thanksgiving themed board games and 2 coloring pages.